Carry the bulk of the bodies waste from the cells to the final elimination organs. Removed infected organism and build the immune system. Liver health is a key to lymphatic health. The liver produce the majority of lymph and lymph is a major route for nutrients from the liver. The integrity of the lymph system is depending on immune cells in the liver that filter out harmful bacteria and destructive yeasts. The spleen is the largest mass of the lymphatic tissues. It destroys worn out red blood cells and serves as a healthy blood reservoir for fresh red blood cells. During time of high demand like hemorrhage, the spleen can release it store blood and prevent shock from occurring. Did you know that liquids need a pump to move? The heart is the pump for the blood but since there is no pump for the lymph the lymph circulation depends only on your breathing and muscle movement. Physical exercise and deep breathing are important to lymph cleansing and to healthy immune response. Eating more spicy food like cayenne, horseradish, and ginger. 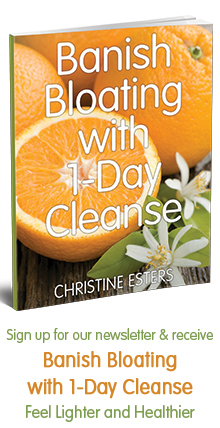 Avoiding caffeine, sugar, dairy, alcohol during your cleanse. They contribute to lymphatic stagnation. Begin with a three day juice liquid diet and follow with 1 – 4 days fresh food. If you have lymph stagnation, it’s probably because you have nutrition deficiency, so boost your immune system by juicing cabbage, kale, carrots, bell peppers, collard greens and garlic. Juice fruits like apples, pineapples, blueberries and grapes. Dinner: have a potassium broth made with carrots broccoli, dark leafy greens, celery and parsley. Add 1 teaspoon of Miso, strained the vegetable and drink only the broth if you choose to. The mind and emotions have a great influence on immune responses the following steps are important. Be sure to eliminate sugar and alcohol. Eat plenty of protein, critical for immune health and the ability to heal. It can be plant based proteins like sprouted beans, sprouts seeds, nuts and avocado or animal proteins like salmon, fresh tuna, sea vegetables, chlorella, spirulina and sprouts. Go with the flow of your lymph and be at peace!